In today’s one and only pre-Worlds article, I briefly highlight five decks I consider to be the “big five” of the 2017 Worlds format. With Worlds just three days away and deck lists for Day One due in two, I figured it’s either now or never to go over the kings of Standard, and give overall forecasts for each. Pros: Huge damage combined with energy acceleration; has branching Evolutions with multiple options for deck construction. Cons: Takes too long to setup. 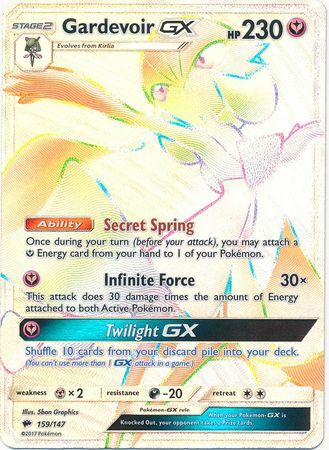 Tech options: Wonder Energy, for Espeon EX and Espeon GX. Overall impression: This is a good play for Day One, but has an uphill battle headed into Day Two and the Anaheim Open, which will surely be influenced by Day One results. Timing seems critical with this deck, but it is also pretty safe. Probably a good play the whole weekend even if Saturday sees hate against it. Pros: Fast; huge damage; requires the least setup of the Big Five. Cons: Linear playstyle; bad fringe matchups; somewhat inflexible. 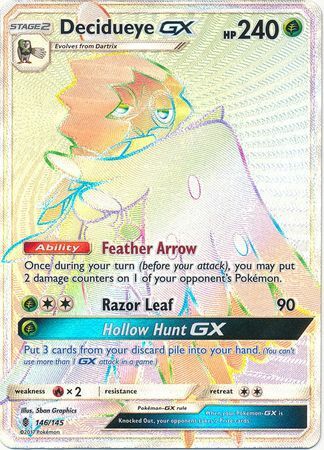 Hot tech: Choice Band for Garde, mirror, and Garb’s big GX attackers. Overall impression: Unlike the other four decks on this list, there’s no question it will be hugely popular in all major events at Worlds (Day One, Day Two, Anaheim Open). I’ve never liked Volcanion all that much, and I may be biased, but I only see it winning Worlds if Day Two is mostly just a Melbourne replay. Pros: Lots of options; can lock anything out of the game. Cons: Inconsistent at times; crippled by bad prize combinations; trapped in the same 50-card build. Hot tech: Jolteon EX for Volcanion. 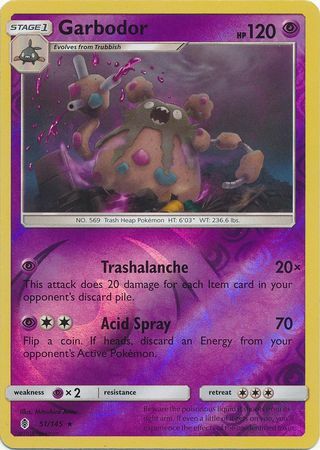 Hard to get out and vulnerable to Turtonator’s Shell Trap, but otherwise the least likely tech Volcanion would counter. Overall impression: Would you be surprised if you saw me playing it at Worlds? I have nothing further to say. Hot tech: Talonflame BREAK. I wouldn’t even dream of cutting it or Talonflame for Worlds. Overall impression: Greninja is incredibly well-positioned to win Worlds a year after it lost in Finals. That said, I hope everyone runs it. Pros: Insane amounts of options; consistent; stands a good chance of having a good metagame in Day Two. Cons: Mediocre to bad matchups all over the place. Hot tech: Vaporeon in Espygarb; any single-copy Supporter in Drampagarb. Overall: I still think Garb is not well-positioned for Worlds, but it will overperform and maybe win if these five decks comprise 90% or more of the meta. These five decks are by no means the only good decks in the format right now. 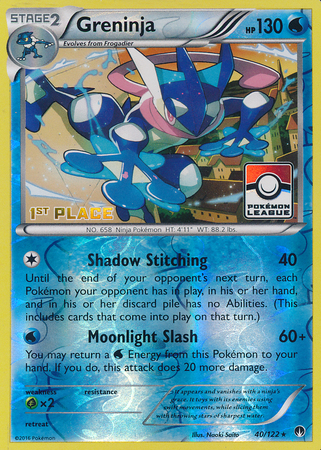 Some options such as Gyarados shine for Day One, whereas others such as Zoroark can be incredible if the metagame warps in just the right way for Day Two. However, in as wide open and exciting a season such as this one, these five decks are the ones I identify as the true kings of this season, so it’s no surprise they will be the defining forces headed into Pokemon’s biggest weekend of 2017.